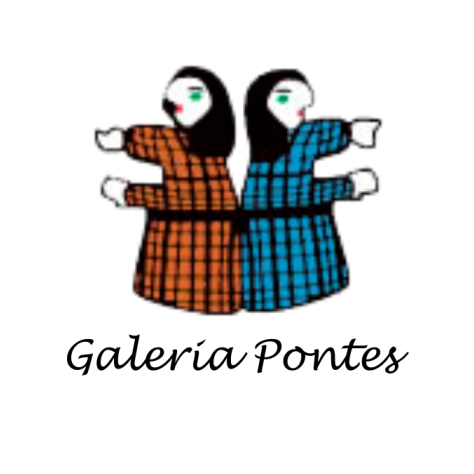 Danilo Blanco e Fernando Zelman | Galeria Central perform new occupation poetic Pontes Basement. 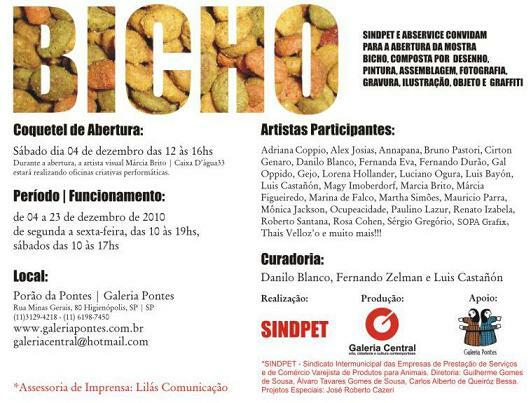 This is the group show “Bicho”, which aims at revealing the relationship between man and animal free interpretation combining drawing, painting, assemblage, photography, engravings, objects and graffiti. Opening: December 4, Saturday, from 12 to 16 hours. Time: 4 to December 23, 2010. Schedule: Monday through Friday from 10 to 19 hours and Saturday from 10 to 17 hours. 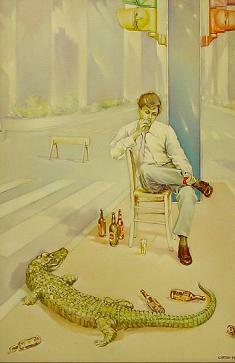 Curator: Danilo Blanco, Fernando Zelman e Luis Castañón.